There’s a theory with novelists – you have to write a million words before you start producing the good stuff. Designing and programming websites is much the same way. We designed our first website in 1996. It was pleasantly dreadful. Now we create some of the sleekest websites around using the most solid, robust technology in the biz. We can provide maintenance services for your website, whether it is new or old. We can help with website tweaks, adjustments, add-ons or updates. We can also assist with areas that are in need of repair and improve specific components. If you are running a wordpress site we’ll make sure your versions, themes and plugins are up to date and working properly. We help set up and train our customers with html email systems. The e-mail newsletters allow our clients to provide information to their customers on an ongoing basis. We help promote everything from press releases, product launches, special promotions and more. We can help you steer to success and avoid the potholes. Secure, reliable web hosting for a select group of clients. We manage our own, dedicated, state-of-the-art web server and it has a small group of clients on it. That means it’s not loaded up with hundreds of websites so we can guarantee you plenty of bandwith, speed, reliability and uptime. 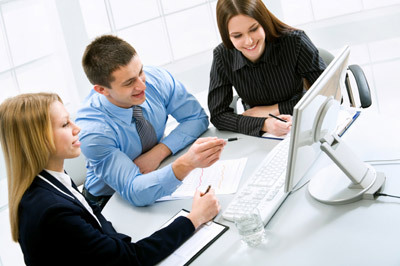 You also get our individualized attention and assistance in setting up and managing your website.